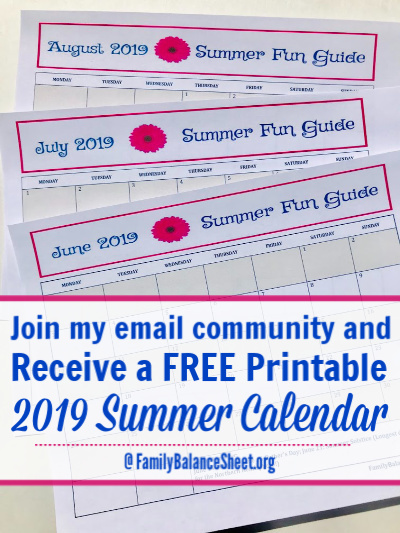 We headed north this past summer to Niagara Falls, New York with my daughter’s Girl Scout troop. Before hitting our destination, we first stopped in Corning, NY, to visit the Corning Museum of Glass. We had a fantastic time at the museum and I highly recommend it. 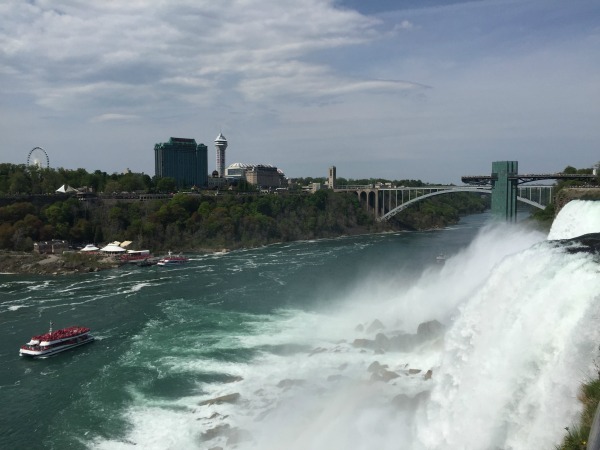 After Corning, we headed further north to Niagara Falls, NY and were greeted with beautiful weather and this stunning view. 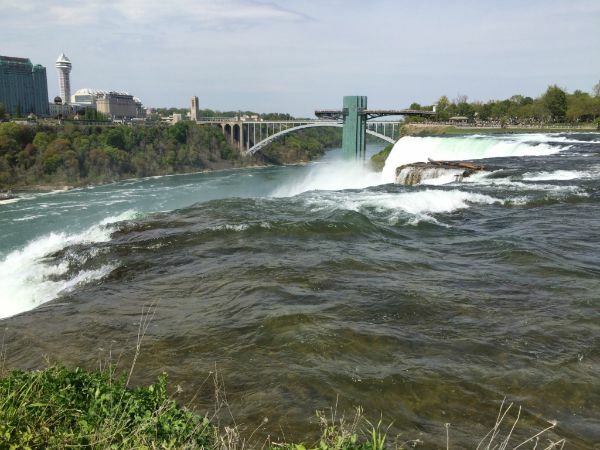 Niagara Falls State Park is America’s oldest state park and a natural wonder of the U.S. We don’t have passports, so we didn’t go over to the Canadian side, but I hear the view is even more impressive. Our first stop was the Cave of the Winds. 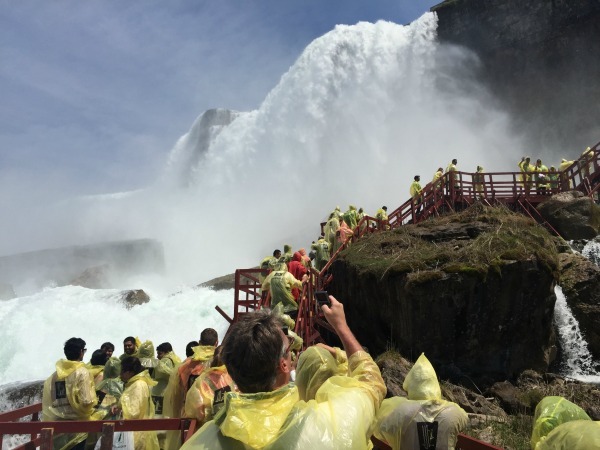 We took an elevator ride 175 feet down into the Niagara Gorge where we were given a souvenir rain poncho and water sandals to walk the very wet attraction. A boardwalk MADE WITH 2 X 4’s starts out tame as it takes you along the Niagara River. 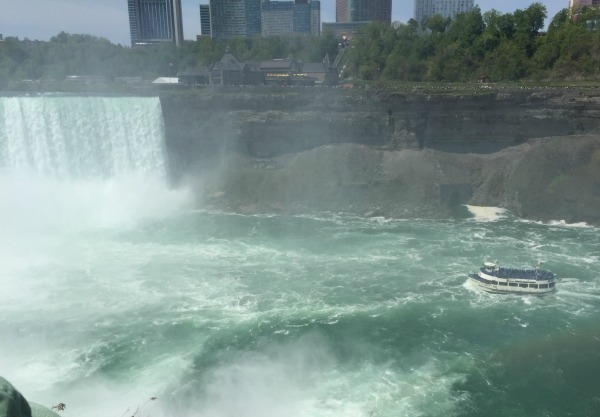 But then you reach the Hurricane Deck and all of the sudden we were just a few breathtaking feet from the Niagara Falls. Thank goodness for the rain gear because you feel like you’re in a tropical storm. To get an idea, here’s a 7 second video of crazy. 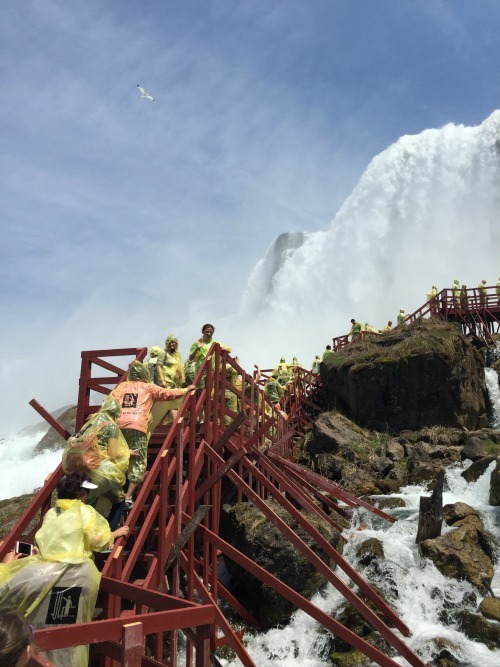 More Cave of the Winds: as crazy as it looks, it was a complete thrill to be so close to the falls. We enjoyed the Cave of the Winds so much that we walked the loop twice. 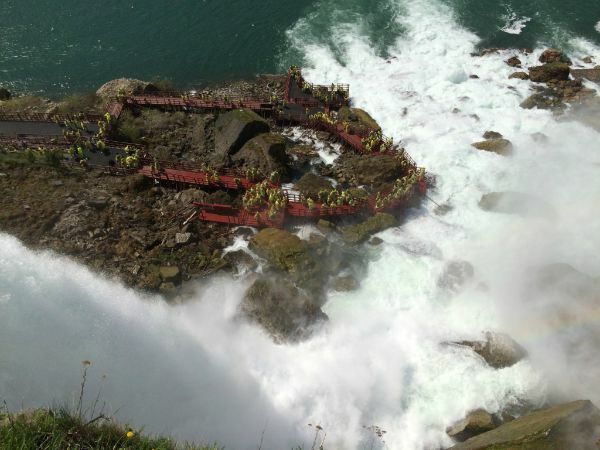 Another picture from the top of the American Falls. 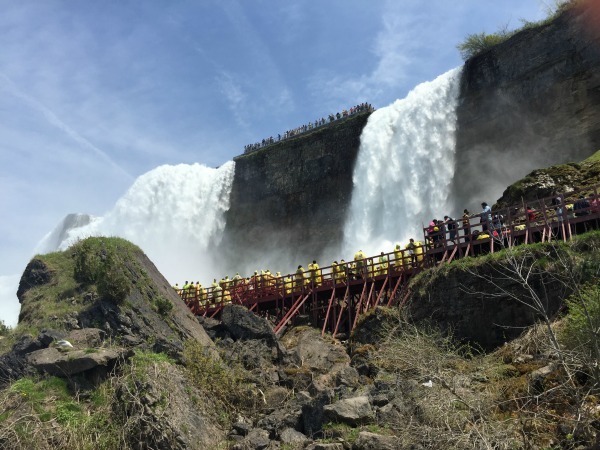 After the Cave of the Mist, we ventured to the most well known Niagara Falls attraction, the Maid of the Mist–a boat that takes you past the American Falls and towards the foot of the Horseshoe Falls. As exciting as the boat ride is, I was bordering on anxiety as we got close to the falls. Wouldn’t the sight of this boat full of people question your sanity? I don’t quite know what I was thinking, except that I WASN’T. But I got on the boat anyway. Here I am with my husband as the boat was taking off. Just floating on the Niagara River. 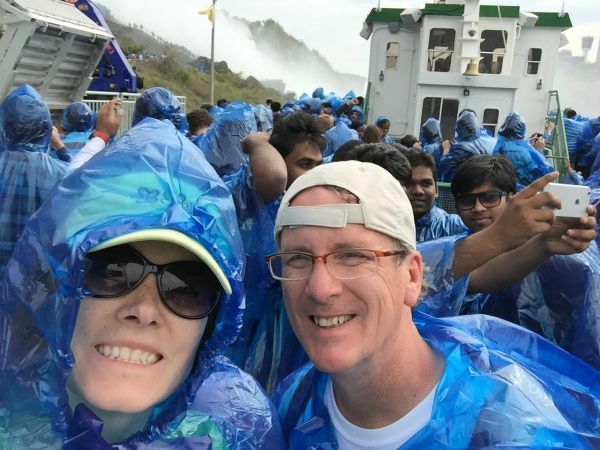 This is the last photo that I have on the boat before we got too close to the falls for comfort. I’m serious when I say I was having anxiety. The boat gets incredibly close to the bottom of the falls, so I kept my iPhone in my bag, but I’m an over cautious person. 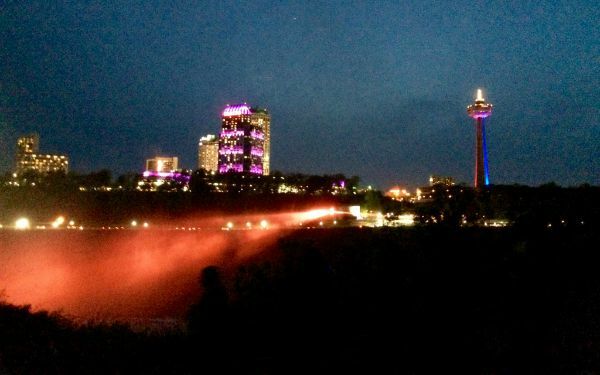 To top off a great day, Niagara Falls treated us to a spectacular fireworks show over the falls. 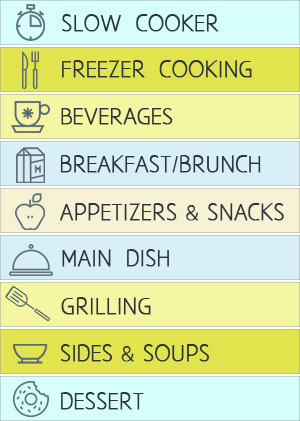 PLUS, purchase of the Discovery Pass includes one day of unlimited transportation throughout the park in the Niagara Scenic Trolley. 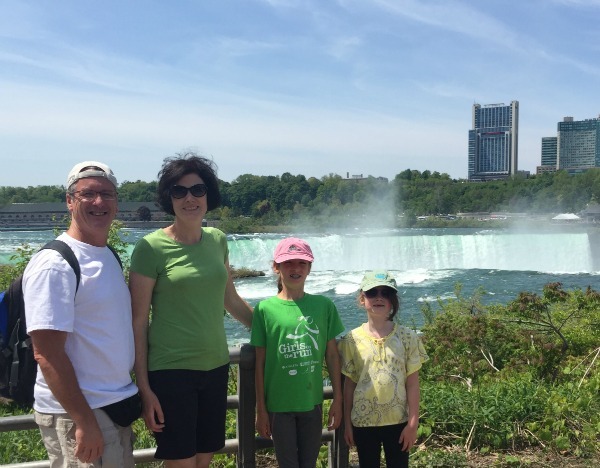 We visited the falls over the Memorial Day weekend. 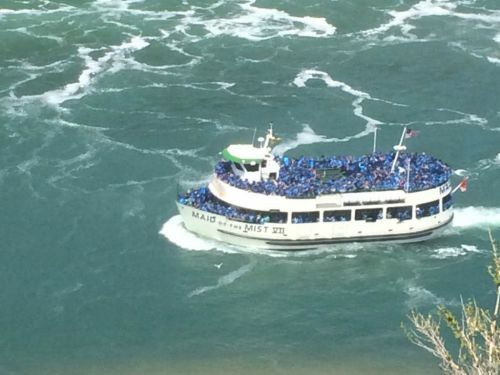 The lines were REALLY long, especially for the Cave of the Winds and Maid of the Mist, but those attractions were worth the wait. 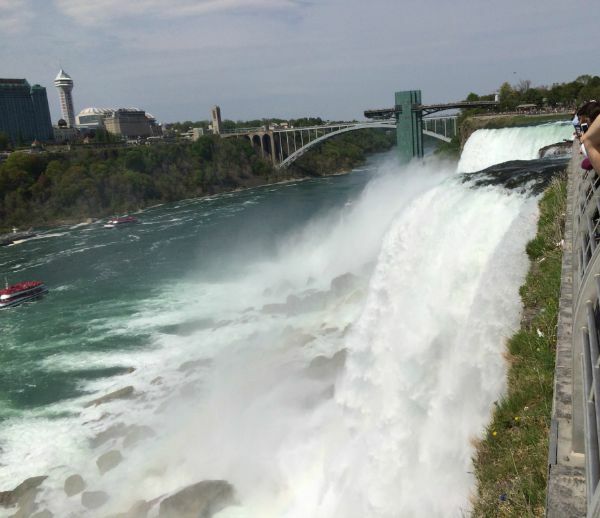 We had a fantastic time in Niagara Falls, we only wished we could have stayed longer. 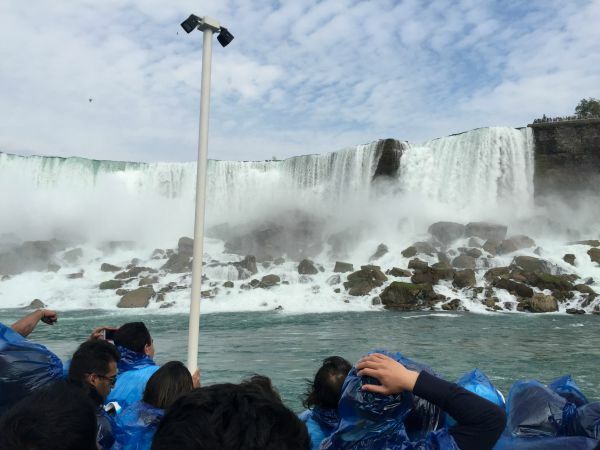 We had a fantastic trip to Niagara Falls. 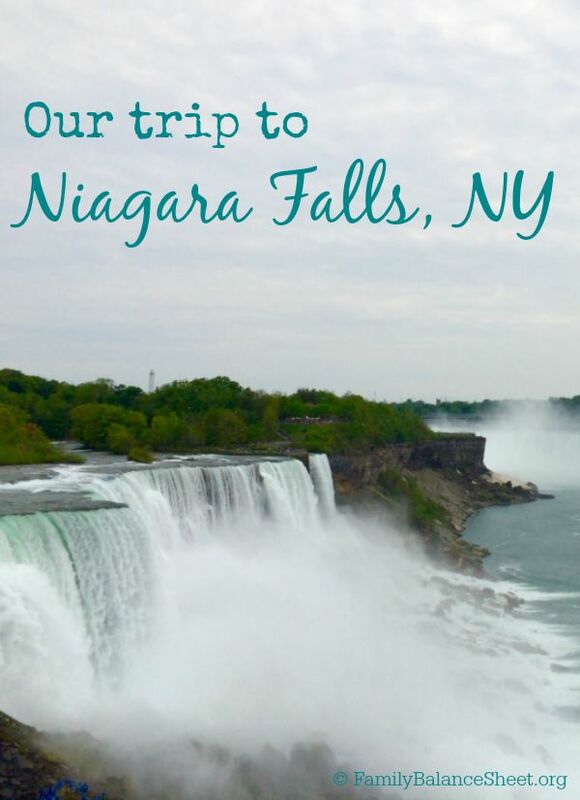 Have you traveled to Niagara Falls, NY? Tell us about your trip in the comments.